The Mahindra Alturas G4 will be launched soon and once it does, the seven-seater SUV will be the most premium offering from the Indian manufacturer. We got to drive the flagship seven-seater recently — you can check out our detailed first drive report of the Mahindra Alturas here. But, if you wish to get an in-depth look into what it offers, watch the Mahindra Alturas G4 video overview below! The new Mahindra Alturas G4 is based on the fourth-generation SsangYong Rexton, currently sold in various global markets. 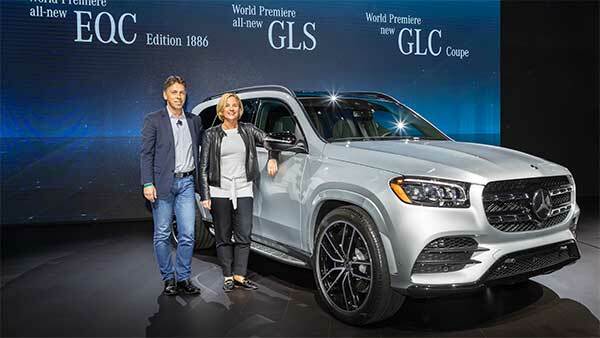 In India, the Alturas G4 is available only in a 4x4 seven-seater diesel format, while the Rexton is offered in two-wheel-drive, petrol and five-seater choices, abroad. The interiors are loaded with all the features and comfort you would ever need, and the overall driving experience is pretty good for an SUV, this size. The Mahindra Alturas G4 has also got some off-roading-focussed equipment in the form of various drive modes (Winter, Summer, 4WD Low, 4WD High). The Mahindra Alturas doesn't compromise on the safety department either. For instance, it has got nine airbags, Anti-Roll Protection (ARP) and all the basic essentials. Powering the new Alturas G4 is a 2.2-litre Euro-VI diesel engine which makes 178bhp and 420Nm of torque. The power plant comes mated to a Mercedes-sourced seven-speed automatic transmission. The Mahindra Alturas G4 will showcase a strong competition in the premium SUV segment in India. Currently, that segment is dominated by the Toyota Fortuner, Ford Endeavour and the Mitsubishi Pajero Sport. Even the newly-launched Honda CR-V is in the game. The new Mahindra Alturas G4 is certainly a benchmark for all upcoming Mahindra products of the future. The SUV was spotted testing many times prior to its official unveiling. Initially, it was even thought to be called the Mahindra XUV 700. How the new Mahindra flagship will perform on the market is something we have to wait and see; especially when Indian SUV buyers are already inclined to the Ford Endeavour or the Toyota Fortuner.